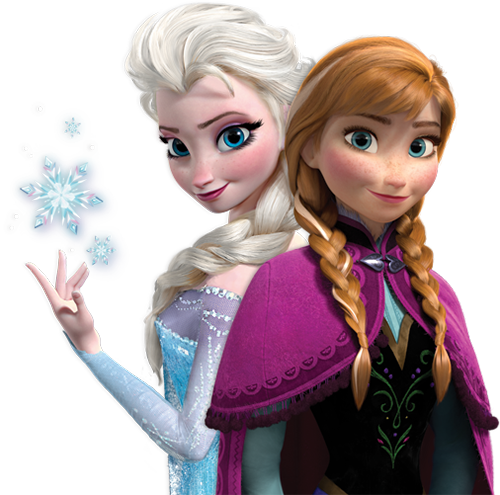 Anna and Elsa. . Wallpaper and background images in the ディズニープリンセス club. Loveeeee this picture! Anna and Elsa are sooo pretty! I love Anna's white streak.. I wonder where Anna gets her white streak from. ^I think she's got ice powers too. Two princesses with ice powers? Interesting. Though it'd be cool if Anna had a different element in my opinion. i hope you realise, that this was already uploaded here? only 6 pictures before this one? Wow! I like this one. Anna looks much better now than in the last pic with cross-eyes and Rapunzel face. Now I see that she doesn't look just like Punzie. ^I think that white streak could represent the curse that was putted on Anna. Anna's eyes aren't as huge as Rapunzel's. See, why didn't you do that with Rapunzel. Now I wanna see Anna with her hair down.